If you have the chance to visit the Sacramento Wildlife Refuge near Willows, California… now is the time to do it! It’s a great spot for wildlife photography and birding in general. The peak season is from December to February… though March can still be good. More information can be found here (link to Sacramento Wildlife Refuge)… and a map guide to the many wildlife refuges in the Sacramento valley can be found here (pdf map). All in all, it’s hard to go wrong here. 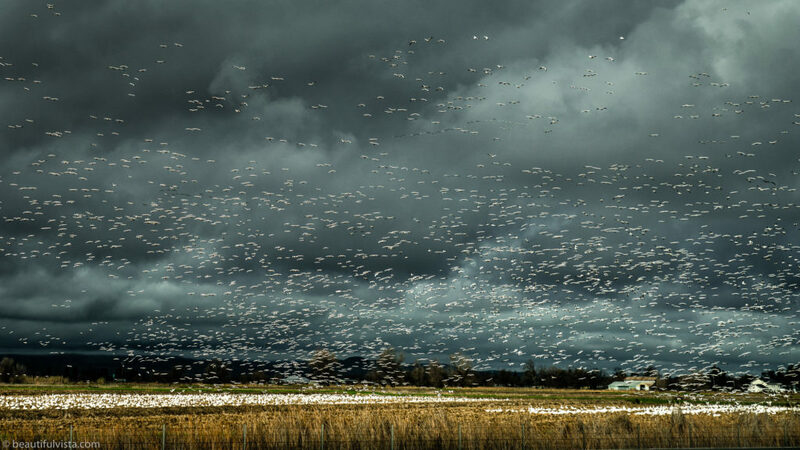 Sometimes there can be literally millions of birds in the air at once… an amazing sight to behold.